GATEWAY TO THE GREAT BEYOND. Three generations of Margo Lenmark’s family operated what is now known as Lenmark Gomsrud Linn Funeral & Cremation Services in Eau Claire. The business was founded in 1884, and the current funeral home, 814 First Ave., above, was built in 1916. It’s dawn. The sun is rising over the Eastside Hill, touching the towers of Sacred Heart Church. Shades of orange, red, and coral erupt against the dark gray-blue sky. Moving slowly over where the two rivers meet, the shades bathe a peachy glow on the white portico of a lone red-and-rust brick, green-shuttered, two-story, flat-roofed building between two parking lots on First Avenue. It’s a sharp contrast to the hard, copper-colored, metallic facades jutting out over the river bank from the arts center being built directly across the murky waters moving fast, full, and furious, close to flood stage, just after the spring thaw. At the funeral home, Margo and her brothers played hide-and-seek among the caskets, even in the basement among the smell of embalming fluid and the corpses of the dearly departed. Margo knew early on that these were simply the flesh and not the spirit and soul of a person. 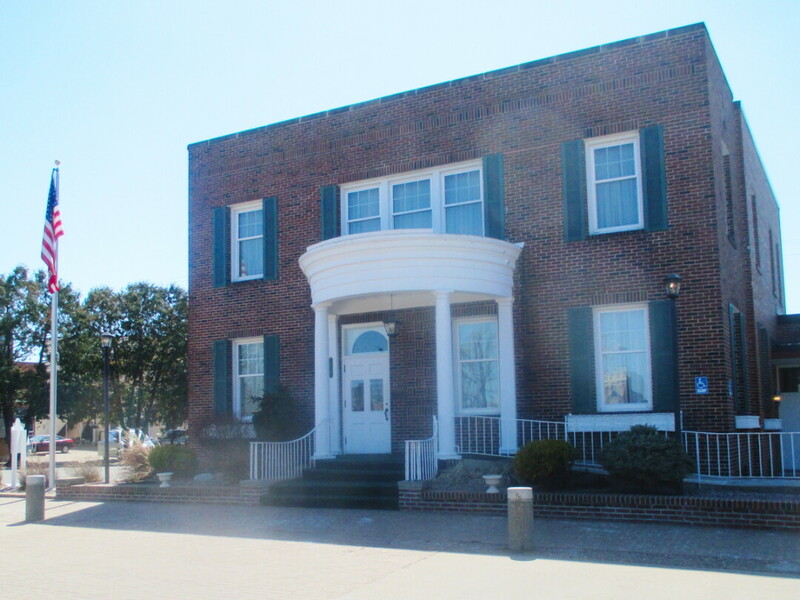 The building at 814 First Ave. is the funeral home where Margo Lenmark’s memoir Light in the Mourning: Memoirs of an Undertaker’s Daughter begins. Margo was born and raised in Eau Claire, and her beloved father Jacques “Jack” Lenmark was part of the third generation to care for the family business founded in 1884. It’s now known as Lenmark Gomsrud Linn Funeral and Cremation Services. 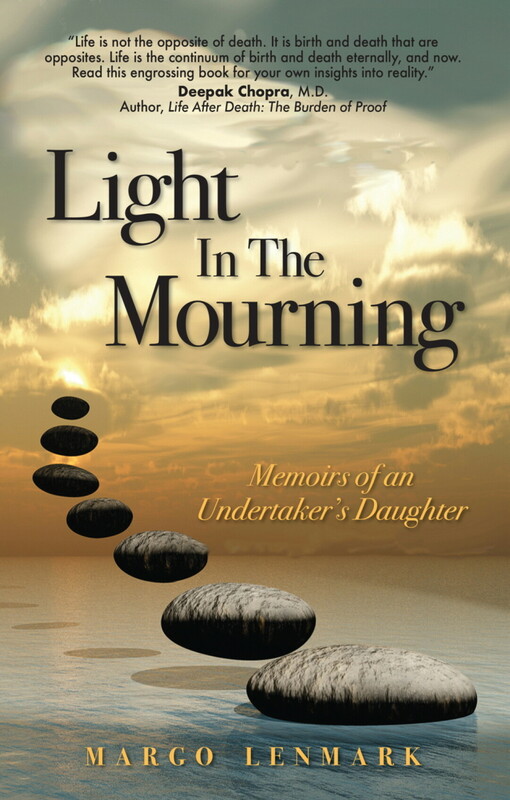 Margo wrote Light in the Mourning to help people with their grief after the death of a loved one and to share the very important lessons she learned from her loved ones who died. The 185 pages and nine chapters cover four family members (her dad, her mom, her brother, and her aunt), four friends from various times in her life, and one dear dog named Casey. The funeral home was Margo’s after-school program. Margo had three brothers – two older and one younger – and the family lived in a home on Lowes Creek Road. Their home was a showcase made lovely enough for home tours by their father, whose death is real and surreal at the same time, and their “larger than life” mother, Arlene, who dramatically resolved differences with her daughter just prior to leaving this world. At the funeral home, Margo and her brothers – Mike, Mark, and Marty – played hide-and-seek among the caskets, even in the basement among the smell of embalming fluid and the corpses of the dearly departed. Margo knew early on that these were simply the flesh and not the spirit and soul of a person. Her father taught her that. One day, as she and Sharon, a school chum, entered the freight elevator to return upstairs from the basement, Sharon noticed a gurney with a white sheet over it next to them, and to her horror, a body underneath the sheet. When they stopped to exit, the body quickly came to life, and Sharon ran out the door of the funeral home screaming at the top of her lungs. Margo’s dad ran after her to calm her down. The “body” was jokester brother Mike, Margo’s fun-loving older brother, to whom the book is a “living memorial.” Mike left this world too young after traveling the world creating photos and producing infomercials. Before that, he completed a life-changing tour of duty in Vietnam, which created its own demons. 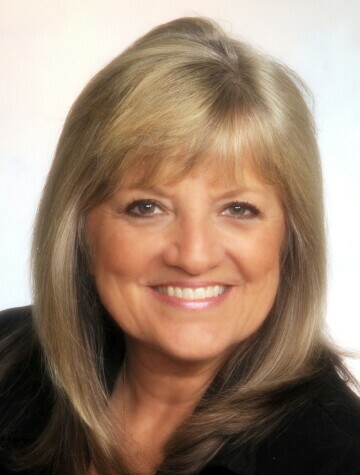 Another childhood memory would transform Margo’s life journey and create a career path for her teaching stress management and meditation to hundreds of people at corporations in the United States, and in Egypt, India, the Philippines, the Czech Republic, and Slovakia. At age 5, upon opening their front door after returning home from church on a Sunday, she came upon her father in his Sputnik-patterned boxer shorts, assuming the lotus position in their living room in an attempt to achieve enlightenment. Mind you, this was in the mid-1950s, long before others had even heard of yoga or meditation, much less enlightenment. Father and daughter started meditating together, and shared books, philosophies, and seminars throughout their lifetimes. Today, Margo lives in Blowing Rock, North Carolina, where she has worked in real estate for the past 22 years. In keeping with her free-spirited nature, she visited a friend there, decided it was “the most beautiful beauty” she had ever seen, sent for her things, and never left. The book is available at The Local Store, 205 N. Dewey St., and on Amazon in both print and Kindle formats. For more information, visit lightinthemourning.com.